This USB to 4 Pin Mini USB Cable is designed for transferring pictures from your Digital Camera to any USB-equipped PC or Mac. 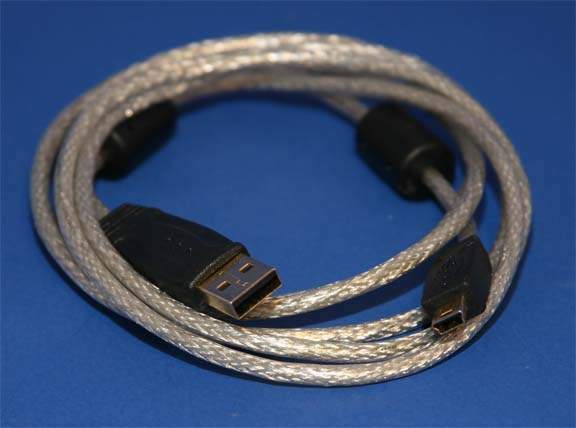 Use this cable as a replacement for your current cable or as a second cable for the office. Constructed with foil and braid shielding that eliminates EMI/RFI interference. The twisted-pair design reduces cross talk, ensuring high-speed, error-free data transfer from your digital camera.